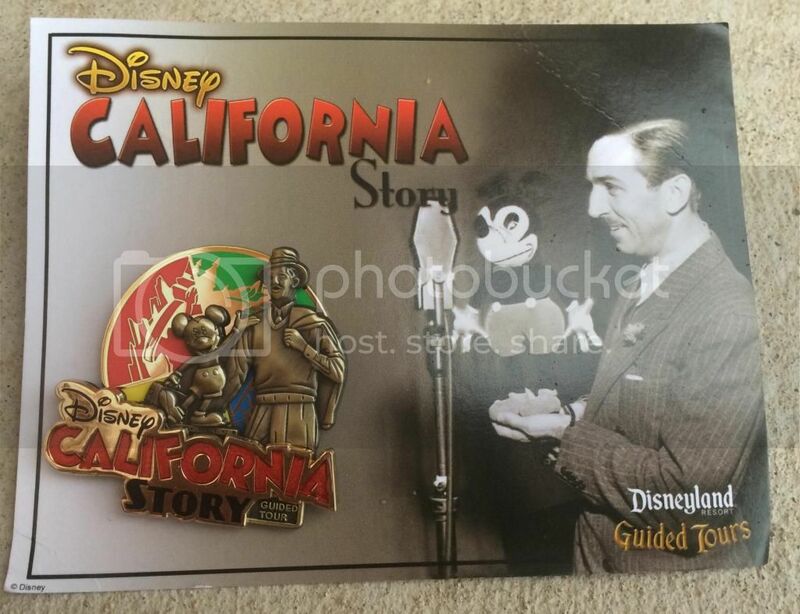 A new guided tour called Disney California Story was first offered on July 17 at Disney California Adventure (DCA) park. My fiancé and I went on the tour on a Wednesday morning in late July. As the tour is still new and maybe because it was a weekday, we were the only two on the tour. Our tour guide Austin was an experienced guide at the Disneyland Resort but this day was his first time guiding this new tour. The tour included visiting three attractions and lunch and took three-and-a-half hours. The tour endeavors to educate guests regarding many of the details about Walt Disney’s life, his early experience in coming to California as an animator, starting and building his company, and how elements of Walt’s story are told in this park. For those less familiar with Disney California Adventure, this park was opened in 2001. For many reasons, including lower than expected attendance, the Walt Disney Company upgraded this park and “re-dedicated” it in June 2012. A large part of the re-dedication included a complete re-theming of the park entrance. 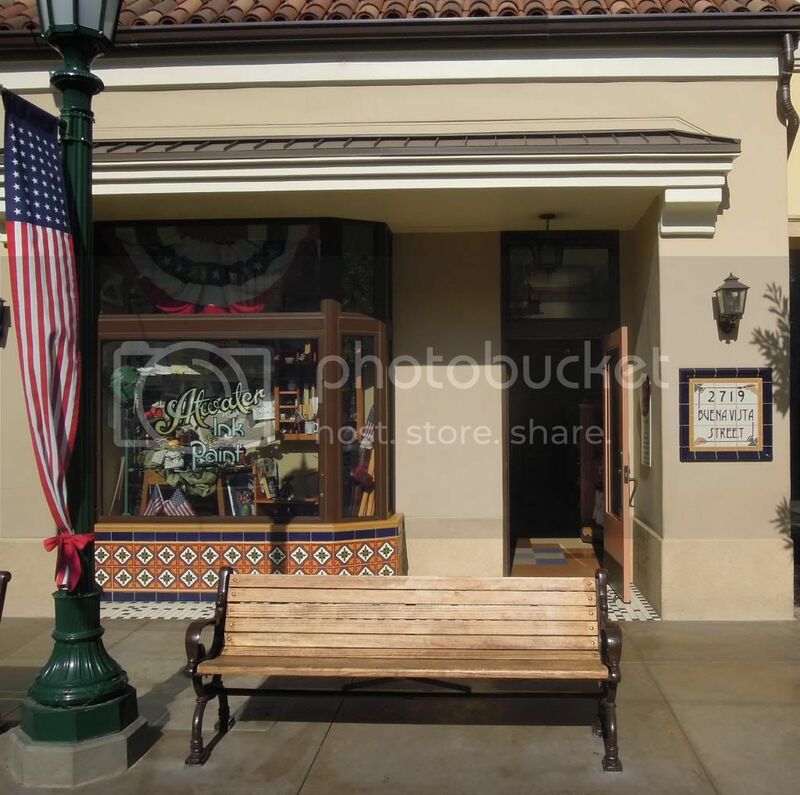 This was called “Buena Vista Street” which celebrates the Los Angeles that Walt Disney encountered when he arrived in 1923, as well as in subsequent years as he built the Disney empire. 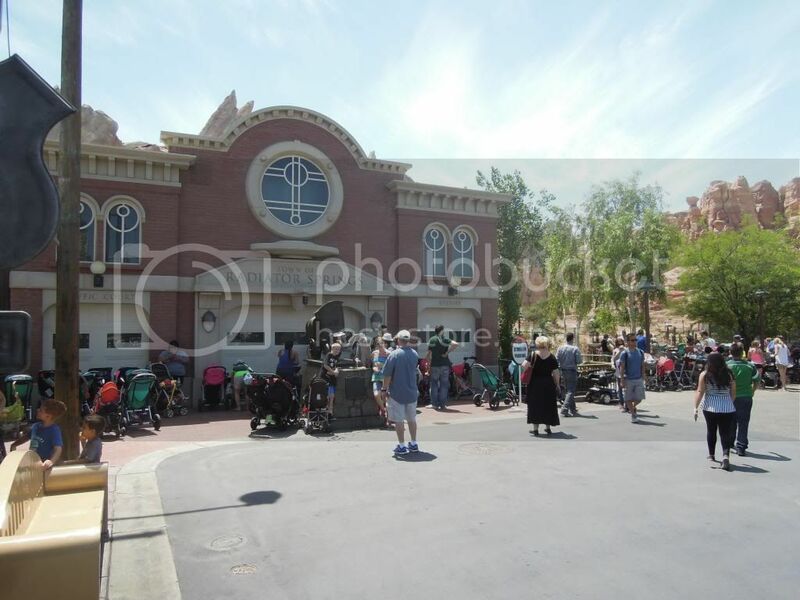 The re-dedication also included the unveiling of the acclaimed Cars Land. It is no surprise that each of these areas of the park are featured prominently on this tour. 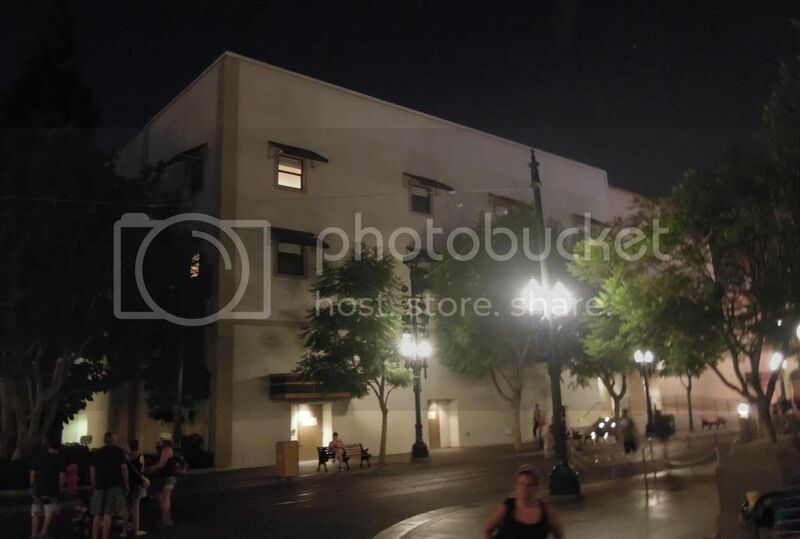 The tour began on Buena Vista Street. 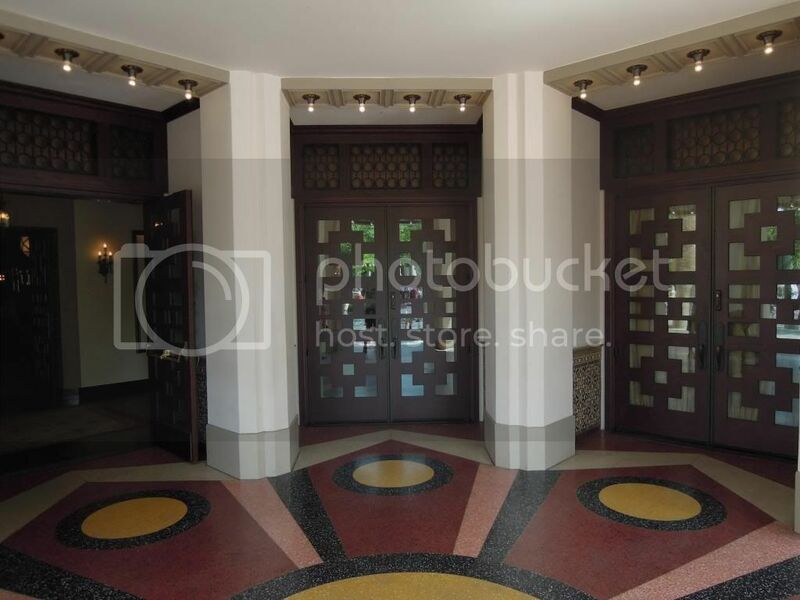 All of the varied architecture on Buena Vista Street is taken from actual buildings or represents a mosaic of different buildings from early 20th century Los Angeles (see photo below). There are many backstories on Buena Vista Street. I have previously heard about many but not all of them. The addresses shown on the buildings reference different numbers or dates significant to the Walt Disney Company or Walt’s personal history. One is the story of Oswald the Lucky Rabbit. Walt lost property rights to Oswald in a dispute with Universal Pictures – thus leading to his creation of Mortimer Mouse – who quickly became Mickey Mouse. Oswald is acknowledged by Oswald’s Filling Station. 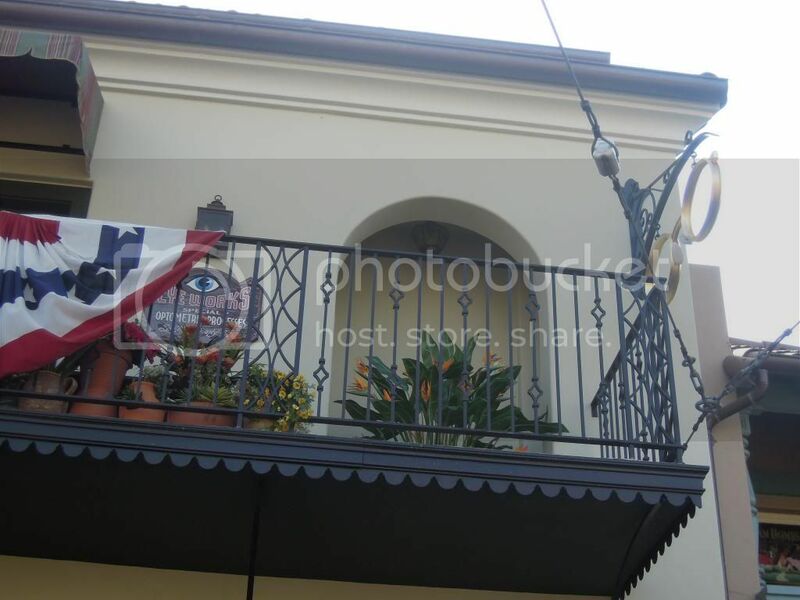 An early Disney animator Ub Iwerks is celebrated by the “Eye Works” optometry office above the Los Feliz Five and Dime store (see photo). 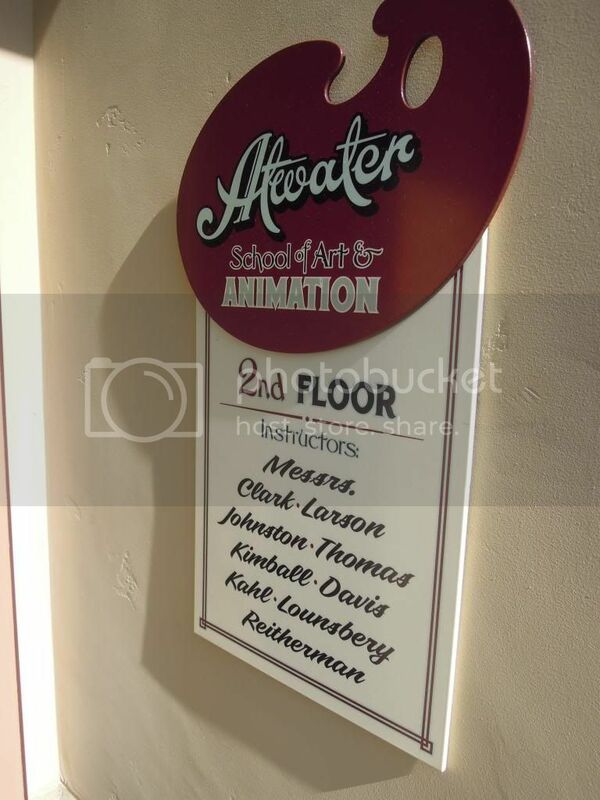 If you go up close to the Atwater Ink and Paint shop you can see an acknowledgement of the core group of Disney animators called the Nine Old Men – all Disney Legends – and listed on the wall there as Atwater School of Art and Animation (see photos below). 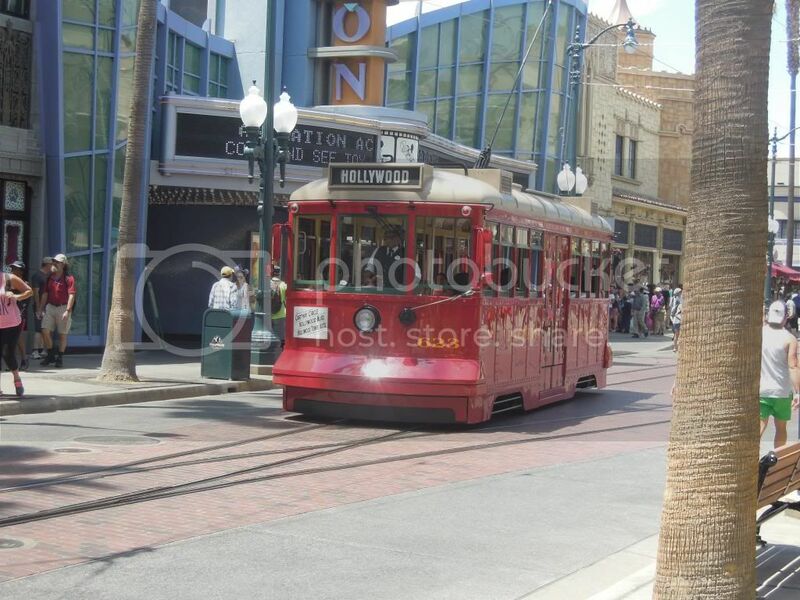 The Red Car Trolley opened in 2012 and the two trolleys are each marked with a different number. The first is number 623 (see photo) which honors Walt Disney’s June 1923 arrival in Los Angeles. The second is number 717, a nod to a date many of you may be able to guess – the July 17, 1955 opening of Disneyland. After Buena Vista Street we walked to Carthay Circle and then got to enter the exclusive Club 1901, Disney California Adventure’s counterpart to Disneyland’s Club 33. The 1901 is a reference to the year Walt Disney was born. 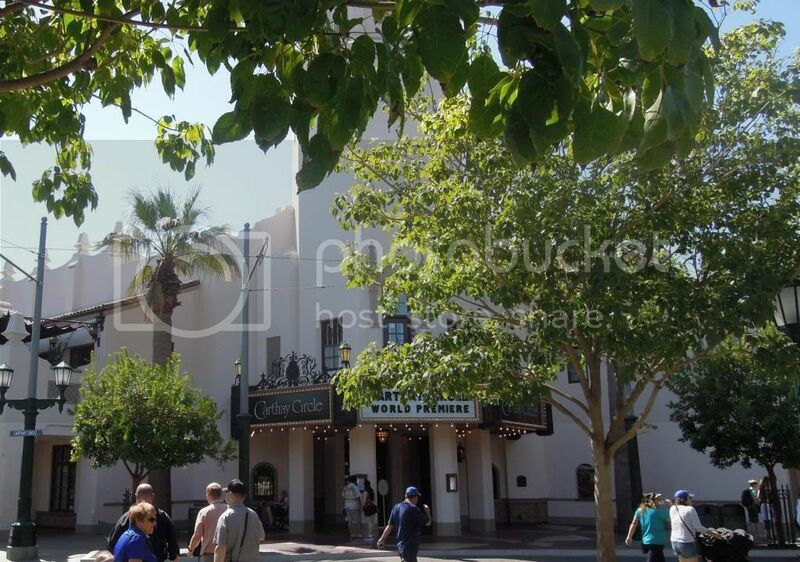 Club 1901 is in the Carthay Circle building (see photos below). 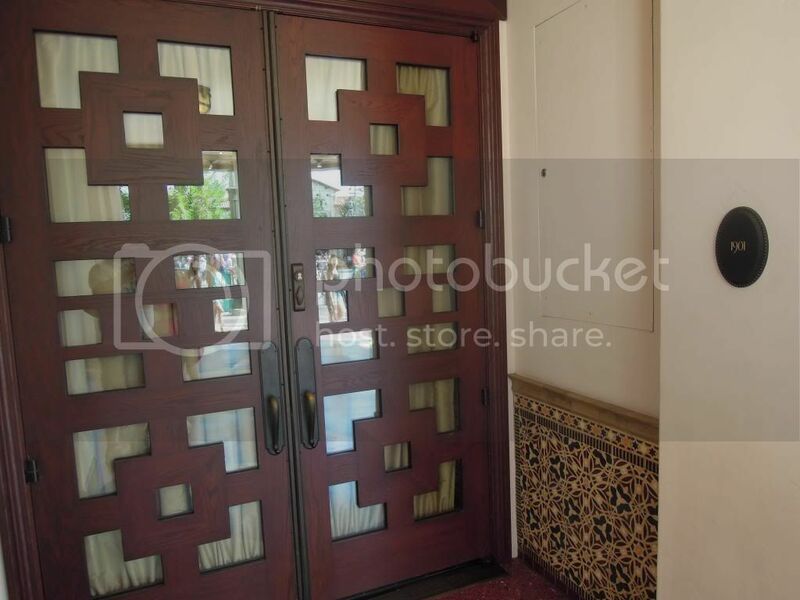 The three doors by which you can enter the Carthay Circle building allow access to the Carthay Circle Restaurant on the left, the Carthay Circle Lounge in the center, and Club 1901 on the right. 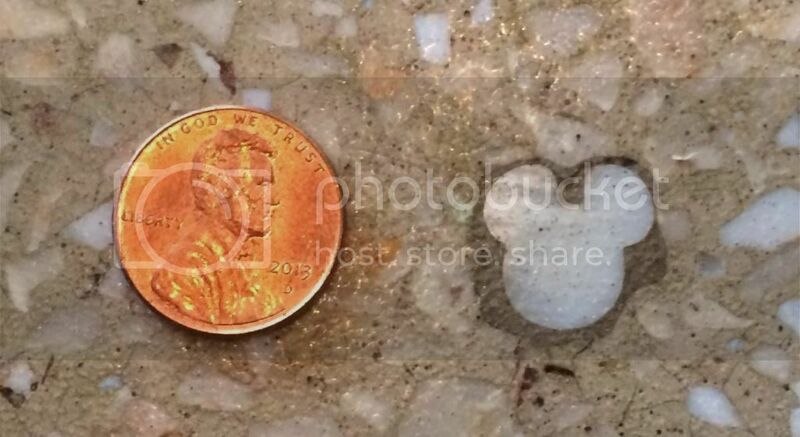 At the Club 1901 entrance our guide pointed out what he claims is the smallest hidden Mickey at the Disneyland Resort on the ground in front of the door (see photo). 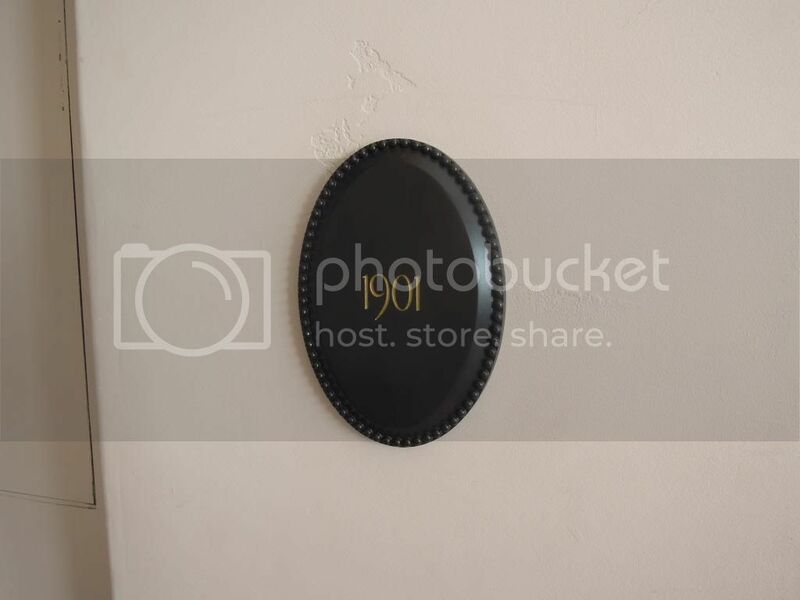 We spent about ten minutes in Club 1901 and were not allowed to take any photos. There are many historical photos in the Club, as well as a full bar and appetizers – but no dining. 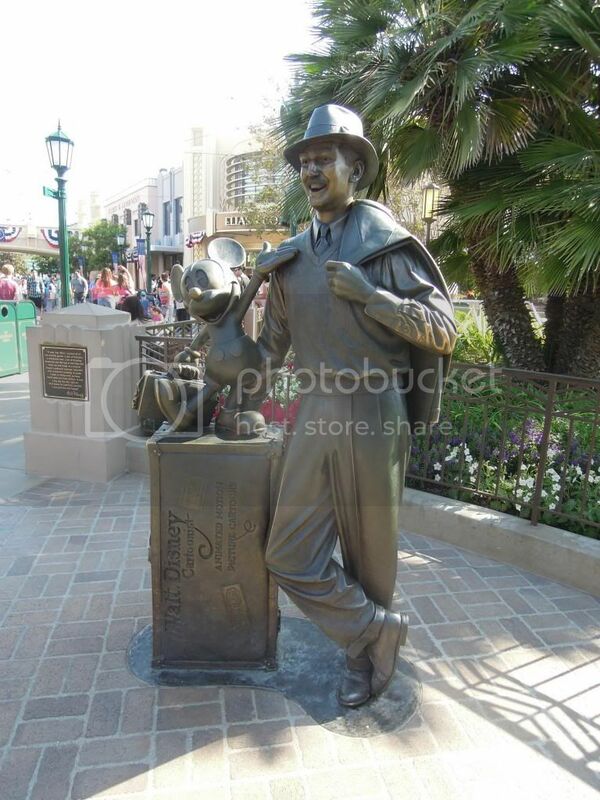 Austin explained that one of the photos in Club 1901 which includes Walt Disney was the inspiration for the Partners Statue (see photo below). After Carthay Circle we progressed to Condor Flats. This area of DCA has always been one of my favorites since my very first visit to the park in 2003. Condor Flats celebrates California’s significant contribution to aviation history. I was born and grew up in California and I had several family members that worked in the aviation industry. Further, I studied engineering in California and worked in the aviation industry myself for five years as my first job. This, plus my love of the DCA attraction Soarin’ Over California, helps explain my appreciation for Condor Flats. I was surprised when Austin told us that many DCA visitors are not aware of California’s aviation history. I thought that was well known. He also told us that, contrary to rumors about Condor Flats being removed or scaled back, that Disney has plans to keep and even improve Condor Flats. As part of the discussion about Condor Flats, we got to go with Austin into Soarin’ Over California and ride in what he described (and many of us already know to be) “the best seat in the house” – row B1. We then made our way to the Grizzly Peak area. We stopped by the waterfall there and heard about Walt Disney and his company’s connection with nature. We also heard about an early effort to deliver Disney entertainment to a mountain setting which sounds a bit like today’s Aulani. What became Country Bear Jamboree came from an early concept of this pursuit that never materialized. We made our way to the Paradise Pier area and heard about the background on California seaside amusement parks of the 1950s of which there were sixteen – all referenced in photos on the King Triton’s Carousel. I had never noticed these before and took a peek at the Carousel later in the day to see some of these photos. After Paradise Pier we entered Cars Land and heard about the early idea for a “Car Land” at DCA before Pixar got involved. We heard about how this concept evolved into Cars Land when Disney Imagineers discussed the concept with Pixar. We then entered the exit of the Radiator Springs Racers ride with our guide and took our second and final ride of the tour. From there we entered a bugs land and the guide pointed out some things I have never taken time to notice there. Then we entered Hollywood Land near the Tower of Terror. We stopped near the Hyperion Theater and then Austin pointed out something to me that I never noticed. Referencing the light in Walt’s personal apartment in Disneyland over the fire station, the building across from the Hyperion Theater is modeled after the offices at the Walt Disney Studios in Glendale, CA. Walt Disney had a corner office on the third floor where he was known to work late into the evening. As a tribute to Walt a light is always left on in the third floor corner office (see photo I took later that night). 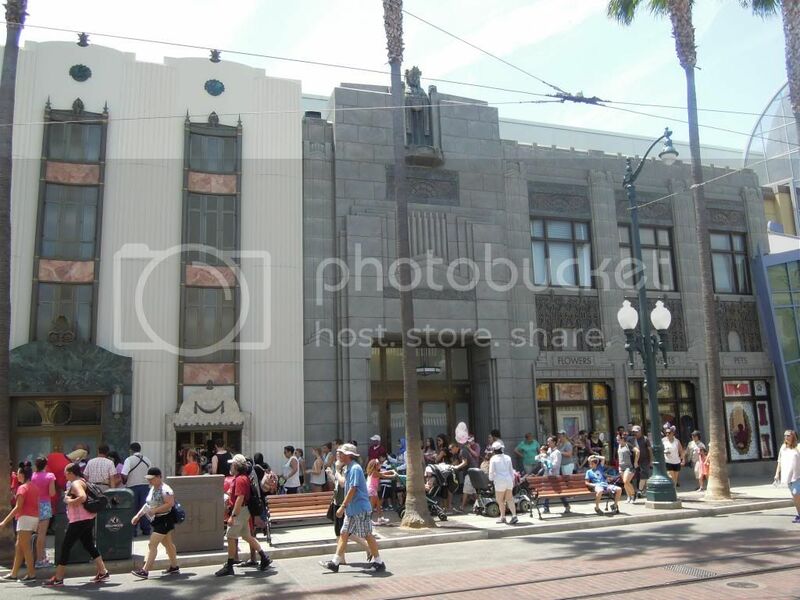 I was not aware that the architecture in Hollywood Land had any specific references, but the guide talked about the different buildings and related them to real buildings in Hollywood and Los Angeles (see photo). We got front row seating at one of the Disney Animation building’s special animation sessions on drawing Mickey Mouse. I am not very skilled at drawing but my fiancé is. Even so with the instructor’s help I did a decent job on my Mickey. We concluded the tour with lunch at the Fiddler, Fifer and Practical Café on Buena Vista Street where we got special pins signifying our tour experience (see below). 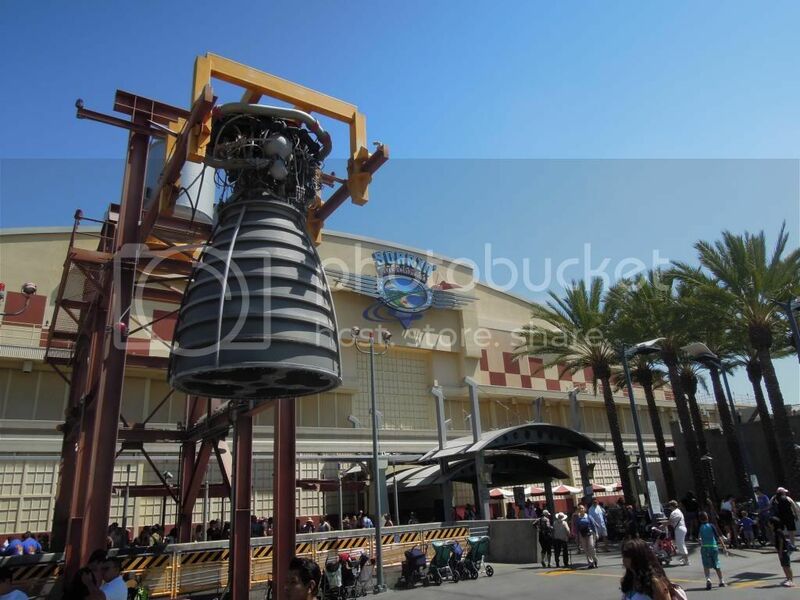 As a Disney fan and attendee at the 2011 and 2013 D23 Expos where I have attended sessions on Cars Land, Radiator Springs Racers and Buena Vista Street among others, I did not think there was much new I would learn on this tour. I was wrong. If you enjoy Disney tours, trivia, history and parks, this tour may be a good time investment for you. The tour costs $109 per person (adult and kids are the same price). You can get a 20% discount on the tour using an Annual Pass, Disney Visa, Disney Vacation Club Membership or AAA. This tour was also discussed on the Disneyland Edition of the DIS Unplugged podcast. You can listen to that episode by clicking here.